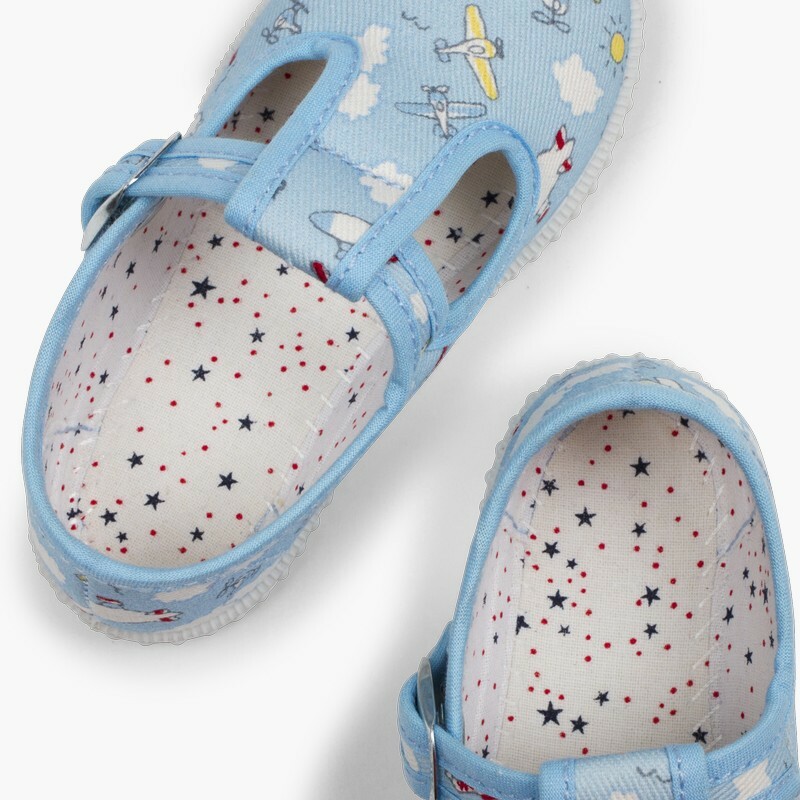 For this spring-summer, we have these boys' T-bar trainers that your little ones just won't want to take off. 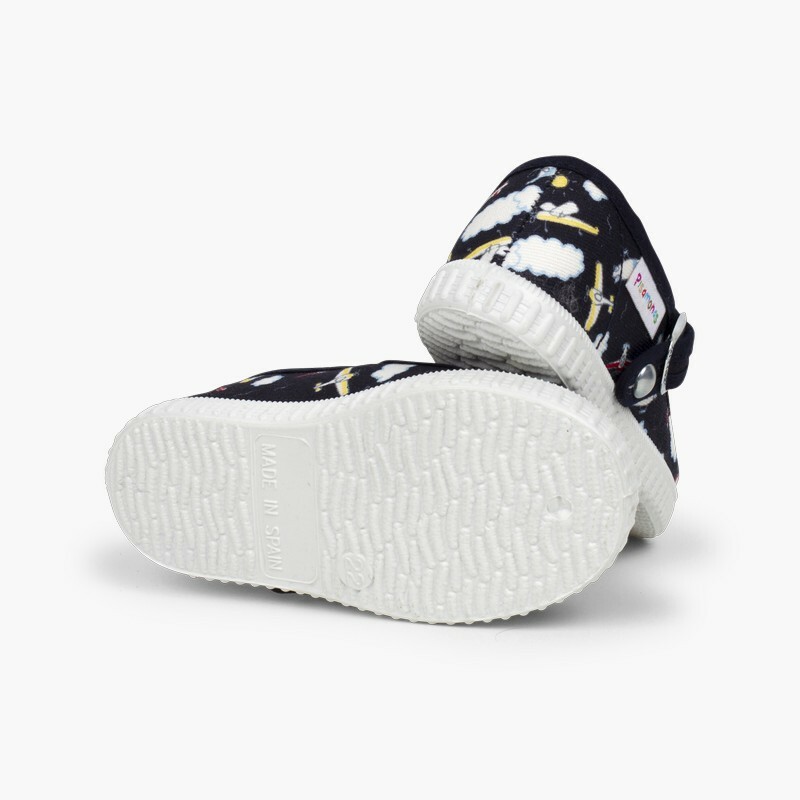 So, your family's smallest members can be comfortable while also looking super cool! 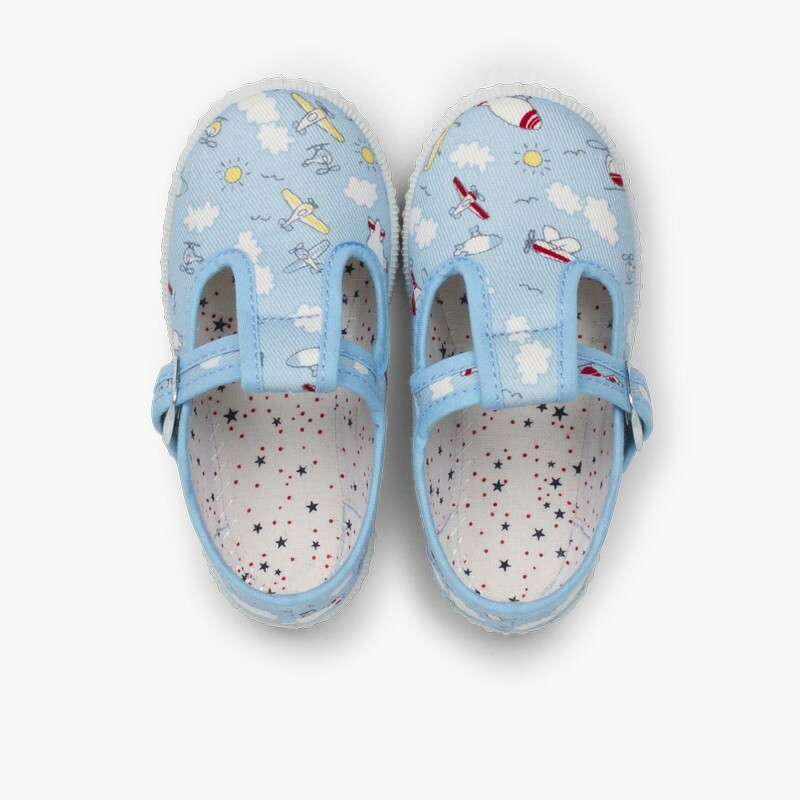 Made of canvas with a fun aeroplane print, these T-bar shoes have a practical button closure hidden under a buckle, so your child can feel super grown-up wearing them and you can be calm in the knowledge that his shoes are supporting his feet with each step. 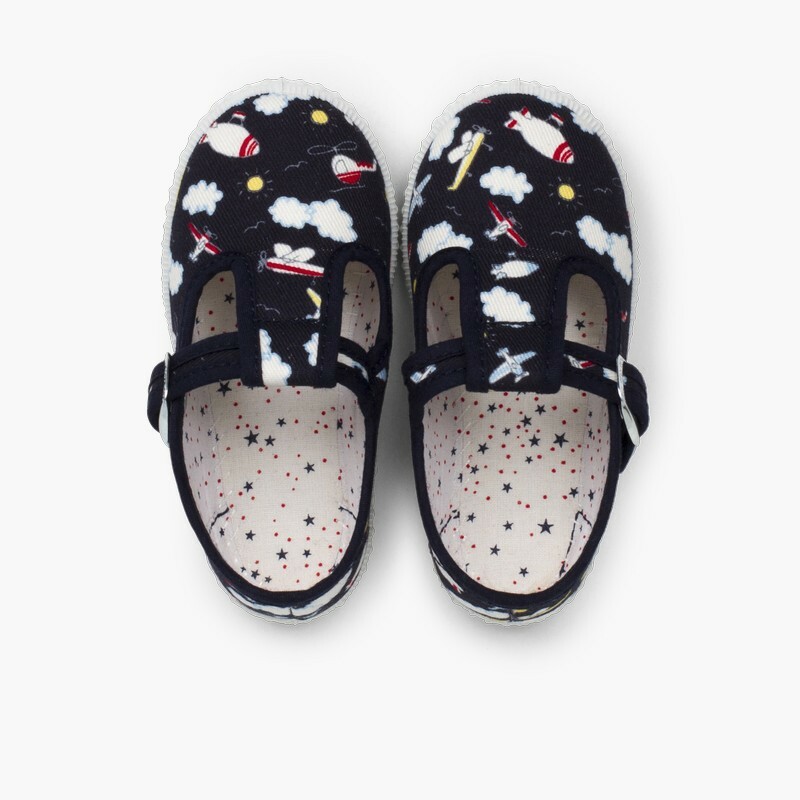 They also have a non-slip sole and a soft interior lining with a cute star print, which ensures that there's no chafing to the skin, whether or not they wear socks. Feet are always protected with Pisamonas! 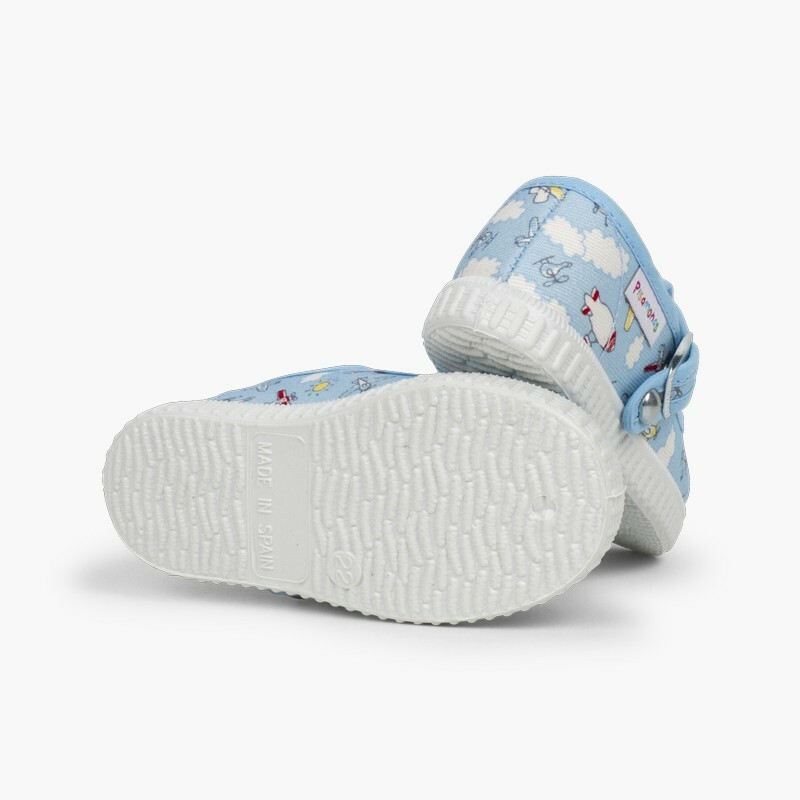 These canvas T-bar shoes are available in sizes 19 to 24. 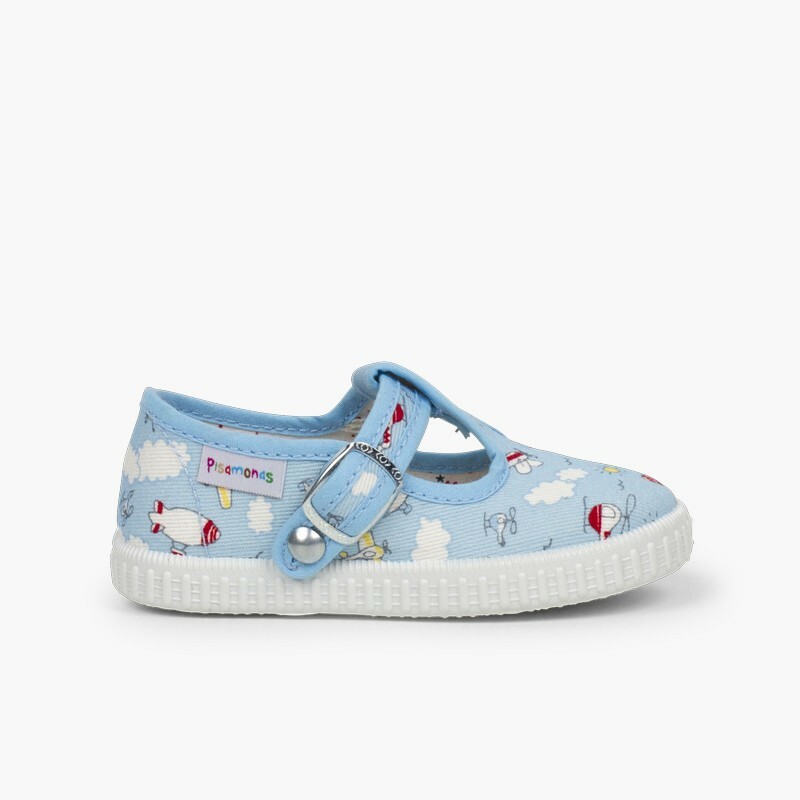 They're sure to become your little one’s favourite shoes this season. 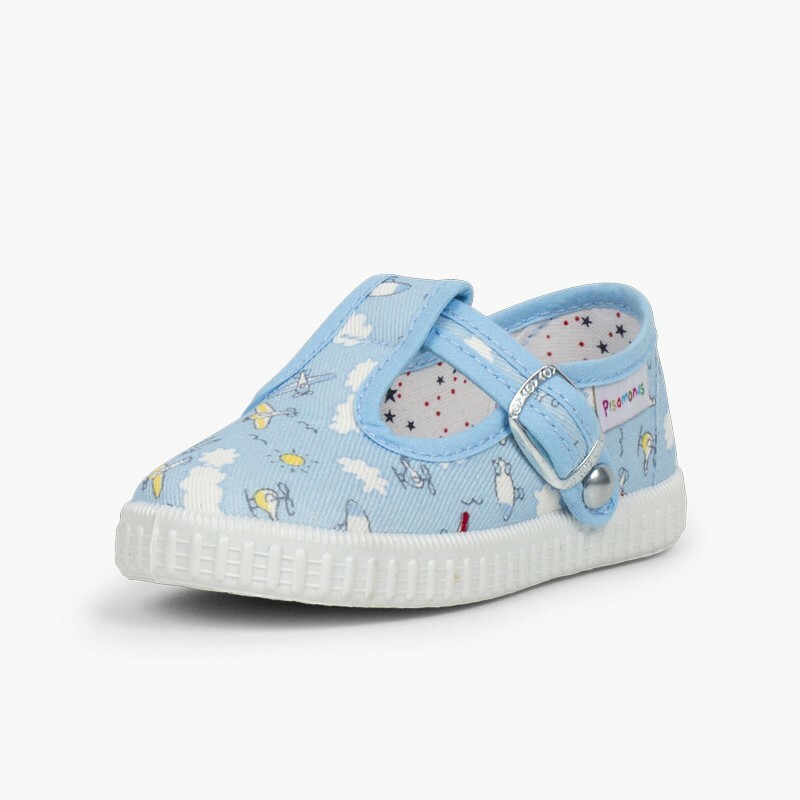 Choose from two colour options: navy blue or sky blue. You can receive them comfortably at home because, as always at Pisamonas, shipping, exchanges and returns are completely free! BUCKLE? NO… IT’S A BUTTON! 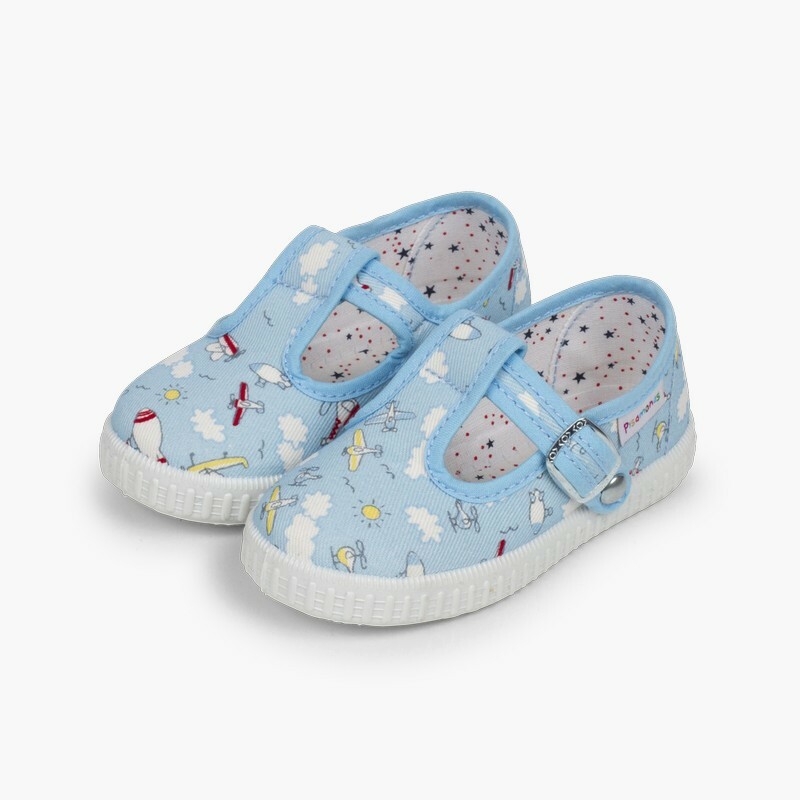 These little T-Bar shoes have an easy button-up fastener with a silver buckle just for show which you can slide to adjust. It’s a perfect fit! 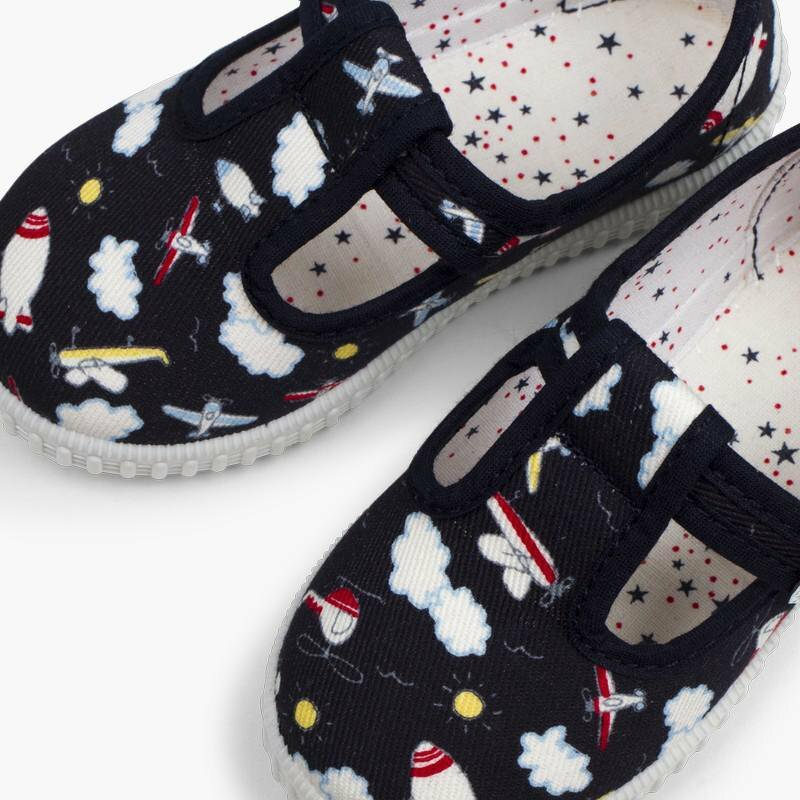 Rockets, clouds, planes, helicopters, balloons… the fun prints on these T-bar shoes will send your child’s imagination sky-high! Which will be their favorite picture?